That’s not to say that the NFL and its fans cannot do their part: not rooting for players who commit such vile acts, teams should be willing to cut players no matter how important they are to the franchise if they are found guilty of such crimes. 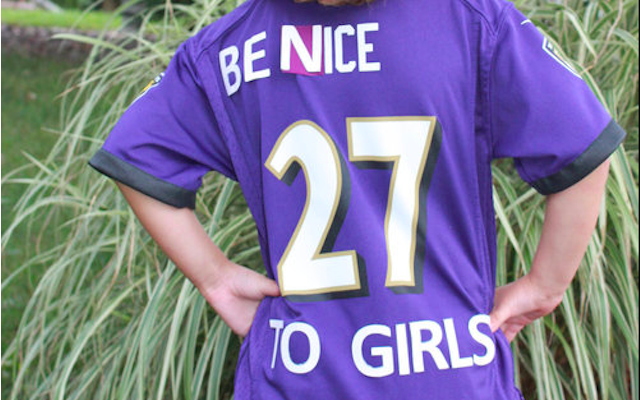 The Ravens should offer a free jersey exchange for those who have Ray Rice on the back of their shirts and fans should want to trade them in. Even something as seemingly insignificant as a fantasy league – would you really want to win if the key to your success was Peterson or Rice? A message needs to be sent – in the NFL and as a society in general – that domestic violence is not acceptable and those who do it should be ostracized. Oh and of course, Roger Goodell should resign. More than half of the league have 1-1 records after the opening two weeks. Three of the 7 who are 2-0: Houston have matched their win total from last season already; the Eagles have trailed by 14+ points in the second half of both of their contests but ended up winning; and the Buffalo Bills…! In 2013, Kansas City did not suffer their second loss of the season until Week 12; in 2014 they have started 0-2. New Orleans starting 0-2 may be something of a surprise, but Drew Brees and the Saints are never quite the same on the road and I expect them to bounce back this weekend against the Vikings. Super Bowl rematch this weekend – Broncos at Seahawks. I’m guessing if they win the toss, Denver will elect to defer to avoid a potential first-play safety again in Seattle’s stadium, which I have heard a rumor can get quite loud. Eli Manning is not an elite quarterback, but on two occasions he has played at an elite level to lead the Giants to two Super Bowls. Can we never, ever talk about this again please.